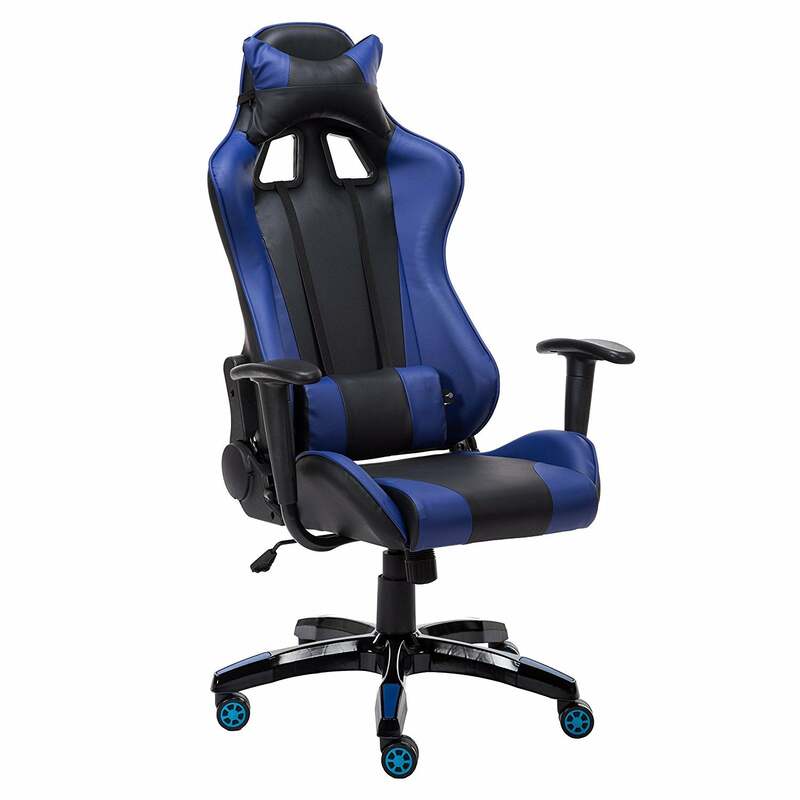 Ergonomically designed chair with ventilating black fabric and soft padding. 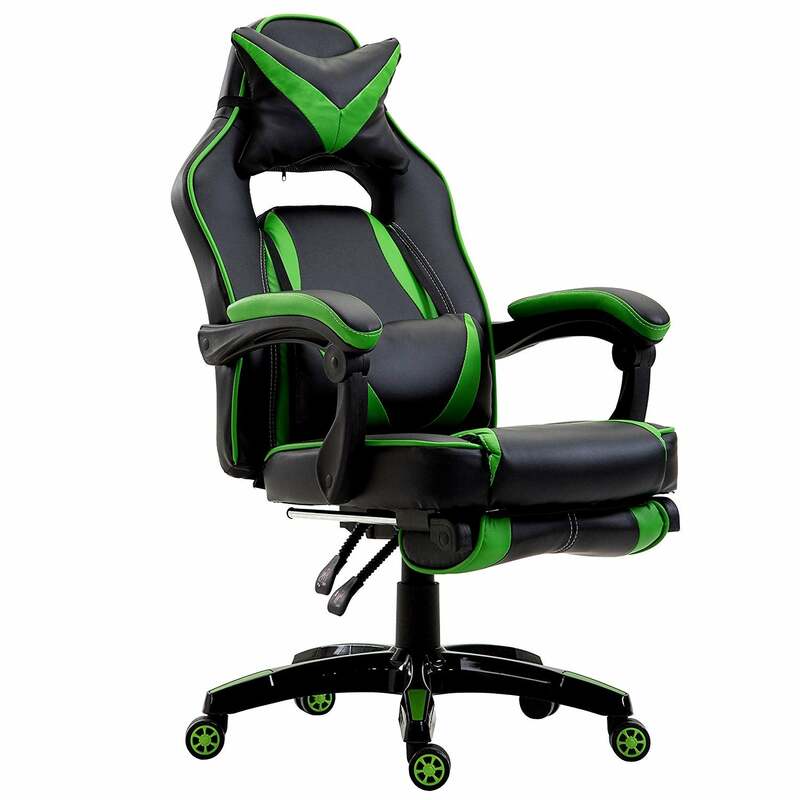 Adjustable headrest, together with additional neck and lumbar cushion provide customised back and neck support. Retractable footrest can be extended when sitting straight, or reclining on chair. Mounted on high quality sinking gas lift and chrome star base to ensure sturdiness and durability of the chair. 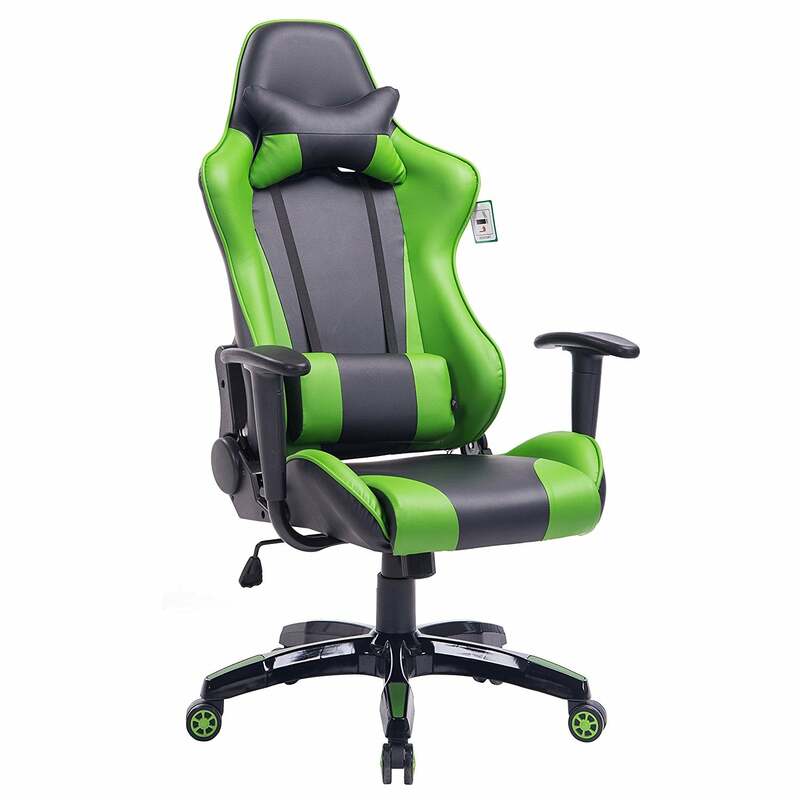 Chair size: (W x D x H) 60.5 x 62 x 114 ~127 cm / 23.8 x 24.4 x 44.9 ~ 50 in. Back size (excluding headrest): ( W x H) 49 x 55 cm / 19.3 x 21.7 in. Seat size: (W x D) 51 x 47 cm / 20 x 18.5 in. Seat height: 44 ~ 51 cm / 17.3 ~ 20.1 in. 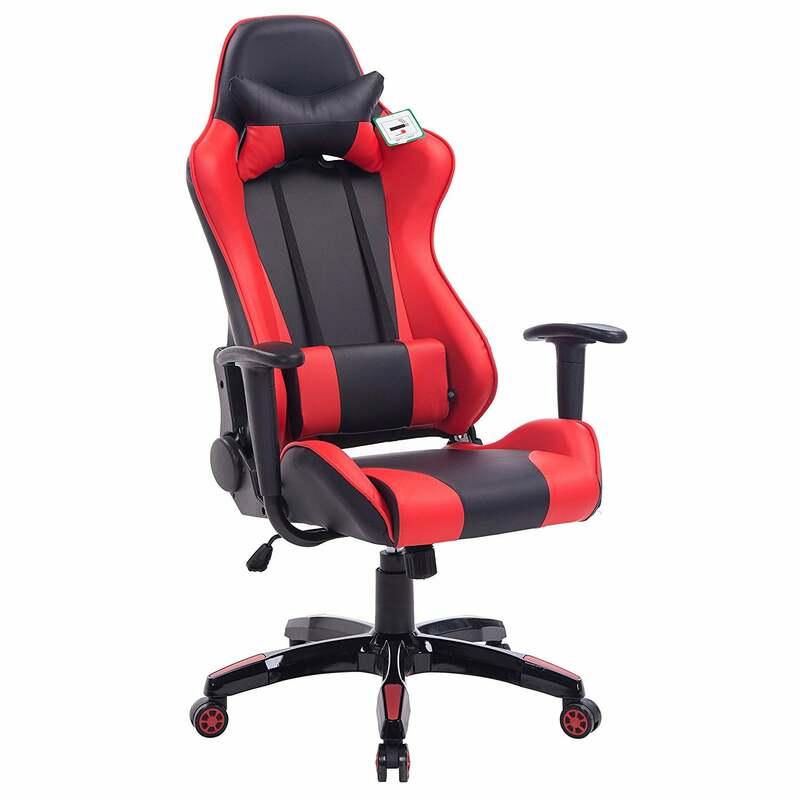 Armrests height: 65 ~ 72 cm / 25.6 ~ 28.3 in. Armrest depth: 46 cm / 18.1 in. Headrest size: ( W x H) 28 x 15 cm / 11 x 5.9 in. 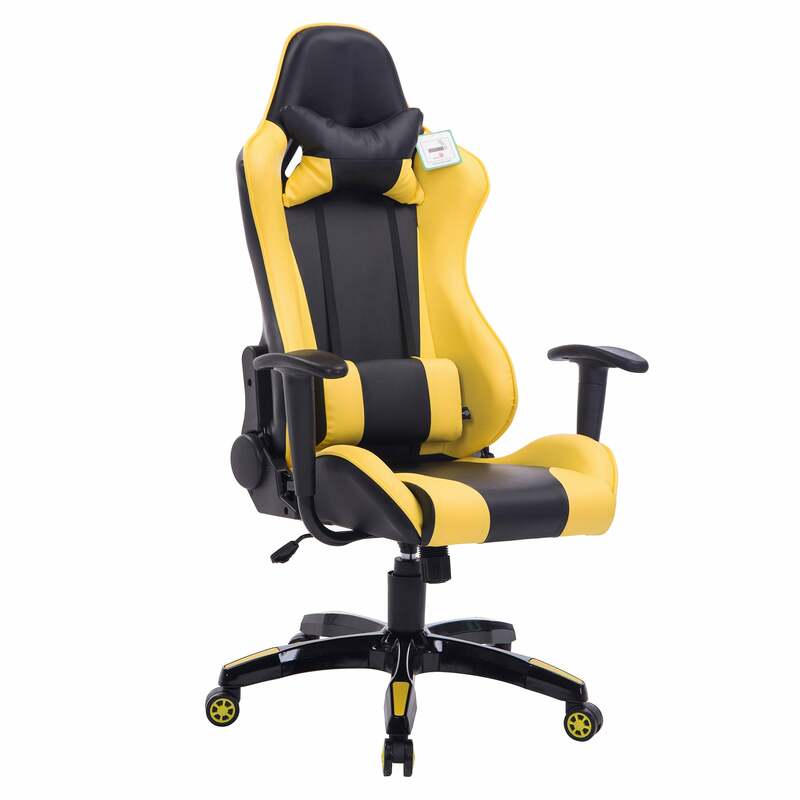 Headrest vertical adjustable range: 4 cm / 1.6 in. Neck cushion size: (W x H) 28 x 8 cm / 11 x 3.1 in. Lumbar cushion size: (W x H) 30 x 9 cm / 11.8 x 3.5 in. Footrest size: ( W x D x H) 36 x 20 x 7 cm / 14.2 x 7.9 x 2.8 in. Package shipping size: 84 x 67 x 35 cm. Package shipping weight: 19.5 kg.